Javier Díaz, director of the National Service of Cultural Heritage, asked for the resignation of Roberto Farriol on the grounds of “loss of trust in his management”. Just a few new things have been noted in culture with this new government of Sebastián Piñera, one of them it highlights about previous managements though: the decoupling of the ministry of Alejandra Pérez, and the director of the Cultural Center Palacio La Moneda and the Chilean National History Museum. Now is added the current request involving Roberto Farriol. 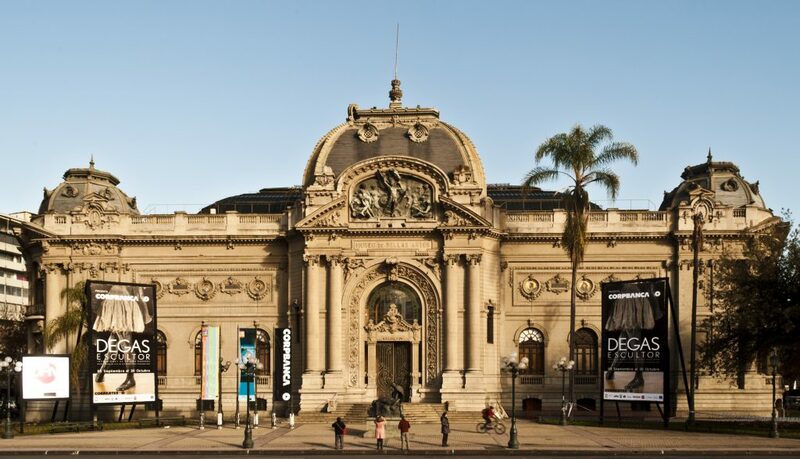 According to El Mercurio impreso, yesterday, Tuesday at 13.30, the director of the Chilean National Museum of Fine Arts received the request of the non-voluntary resignation, “in accordance with the law 19,882, I have requested the non-voluntary resignation to the Chilean National Museum of Fine Arts director on the grounds of loss of trust”, explained Javier Díaz to the national media. Moreover, it was noted that assessments have been carried out about the work environment in the site, and “a lack of encouragement of teamwork and a lack of ability to handle conflicts” has been demonstrated. Among the problems of leadership that are ascribed to the visual artist, who Works as a director in the Chilean National Museum of Fine from 2012, he is accused of workplace harassment by the curator Gloria Cortés, which is confirmed to “exist and to be in process”. In addition, his null response to the request of creating a committee of experts in order to assess the purchasing of new pieces of work, “by this time it hasn’t been carried out yet”, said Díaz. The measure would be effective in 12 days. About the new director of the museum, it is pretended to hold a competition for senior public management. Roberto Farriol was born in Valdivia, 1956. He earned a Bachelor of Arts in the Pontifical Catholic University of Chile, he holds a doctorate in Fine Arts of the University of Barcelona and a post-doctorate in the University of California, Davis, USA. He has given classes in several universities of Chile as the Metropolitan University of Educational Sciences and the Pontifical Catholic University of Chile. As a visual artist, he has made individual and collective exhibitions in Chile and abroad.